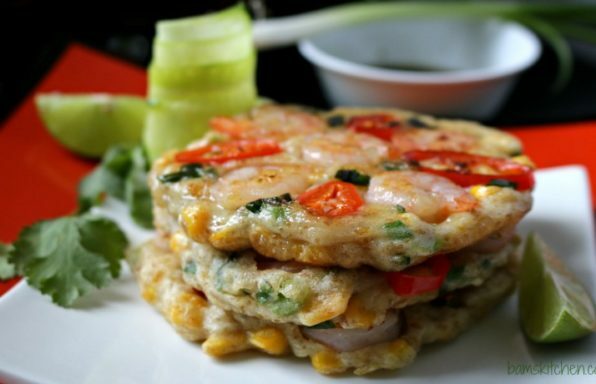 10 fun and easy Chinese New Year recipes for your happy, healthy friends and family during this special holiday. 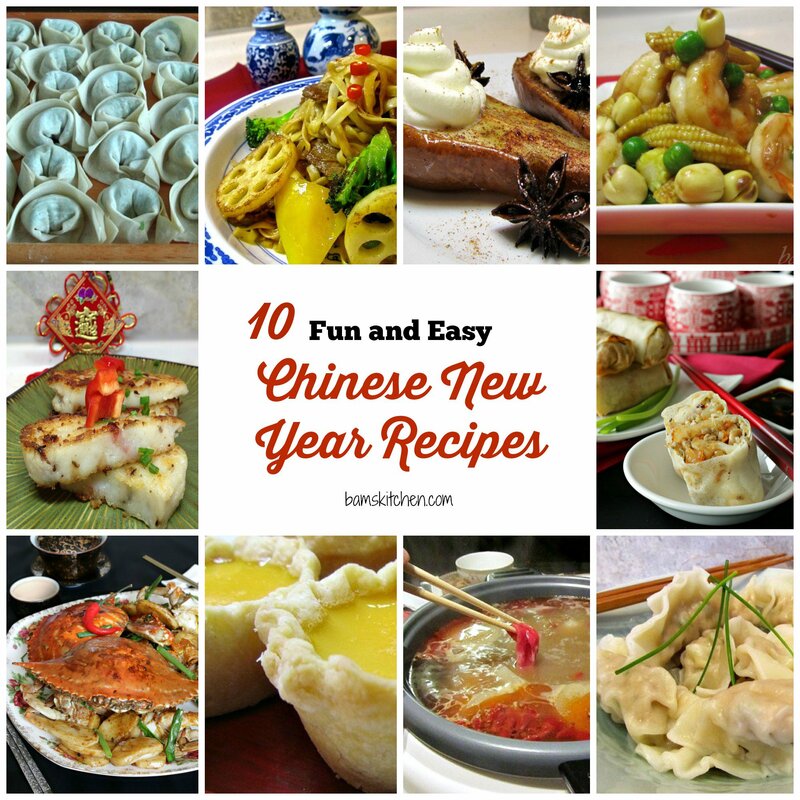 We know that the holiday season can be stressful, so we have 10 fun and easy Chinese New Year Recipes that are traditionally served during Chinese New Year (CNY)/Lunar New Year but really are delicious and easy to make all year around. 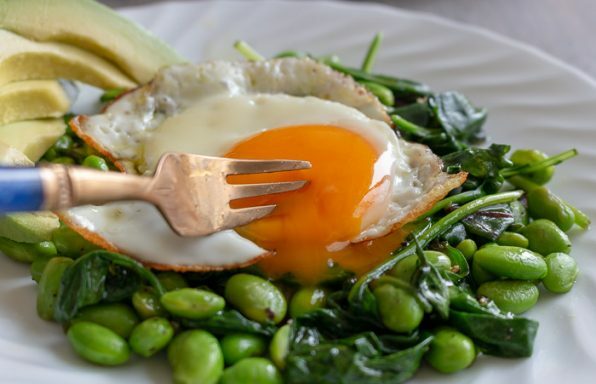 We also wanted to give you some healthier options this CNY to help you stay on target for your new year goals. 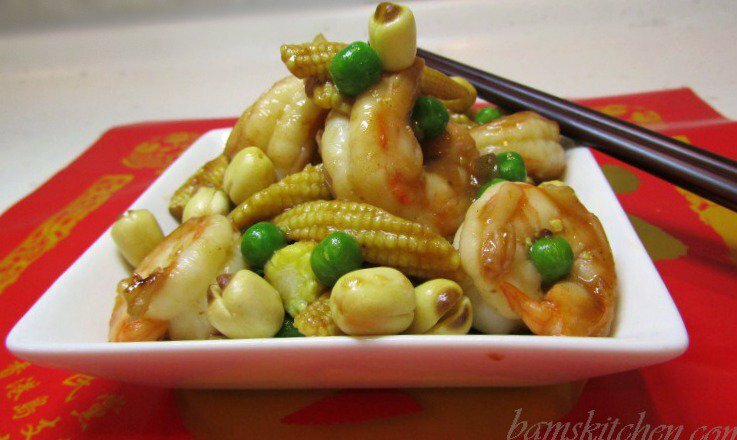 The first of these 10 Fun and Easy Chinese New Year recipes is Lucky Shrimp and Lotus seeds. Lotus seeds are traditionally served as a dried snack during Chinese New Year and are usually soaked in a sugar laden syrup and dried and eaten as a finger snack. We took a fun spin on a healthier version of enjoying lotus seeds by roasting the lotus seeds first and then adding them to a shrimp and vegetable stir fry. You are just going to love the simple flavours with the delightful crunch of the lotus seed. 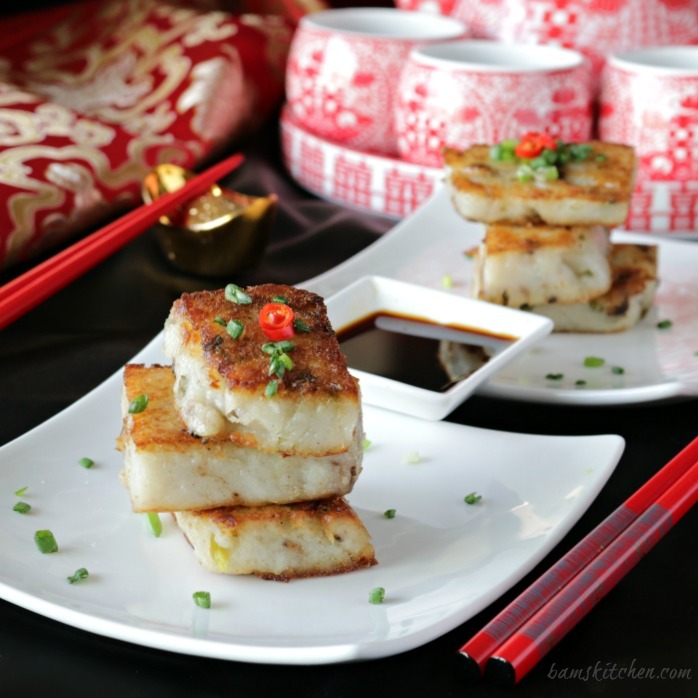 One of the most common dishes served in Hong Kong is the Chinese New Year Radish Cake. The Chinese New Radish Cake is simply just dreamy to bite into. First the little crispy bits on the ends catch your senses and then once you take a bite the inside it is soft and mellow. The diakon radish mellows as it is cooked and combined with the mushrooms, sausage, herbs and spices and makes this for one hearty delightful treat. Well don’t take my word for it, give it a try yourself and impress all of your guests this Chinese New Year and it is gluten-free. I love dipping it in a simple sauce of soya, dash Chinese dark Chinkiang vinegar and a little ginger for a little zest. 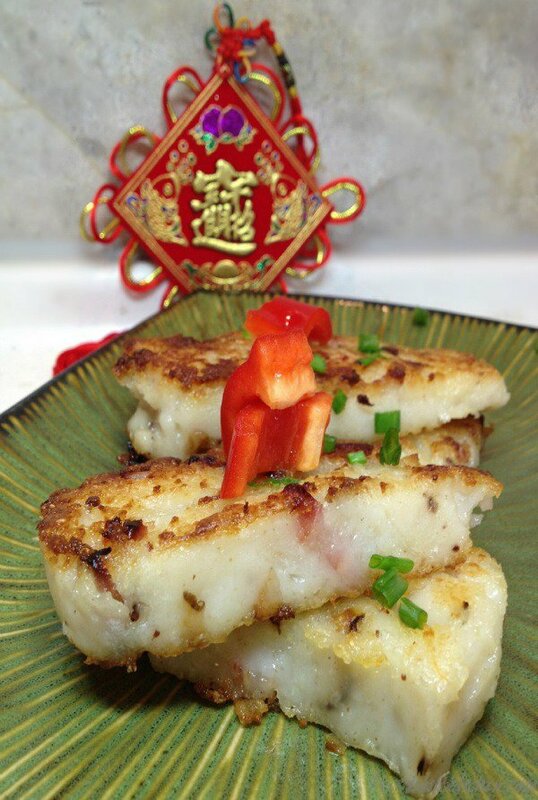 We also have a VEGAN option 2B Chinese Vegan Radish Cake to give you some other options. 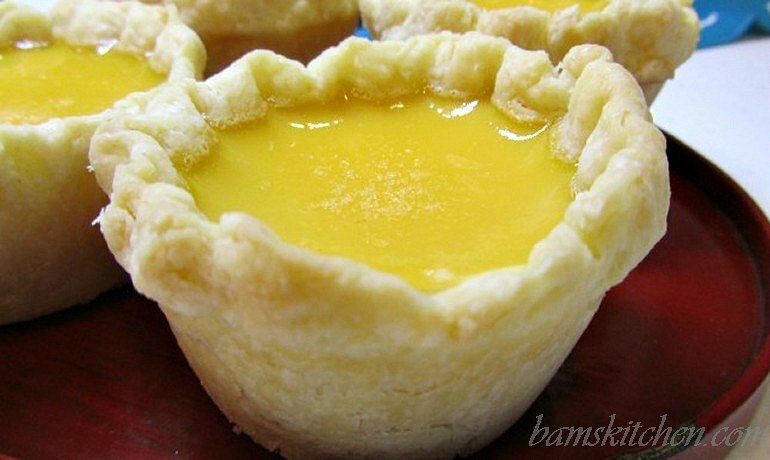 Another Hong Kong favourite dim sum are egg tarts. We have made 2 different versions one with a pastry crust and one with a puff pastry just to make your life easier. 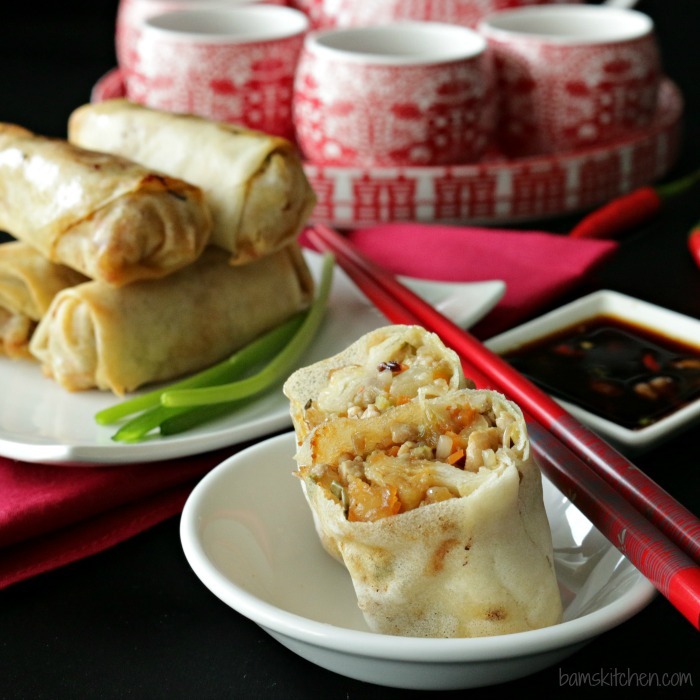 Baked Spring rolls are crispy and light spring roll wrappers filled with tender shrimp, pork, ginger, garlic, fresh herbs and spices and baked to perfection with a zesty ginger tamari dipping sauce. If you looking for a healthy diabetic friendly dessert for Chinese New Year, then you are going to love these Asian Spiced Pears. 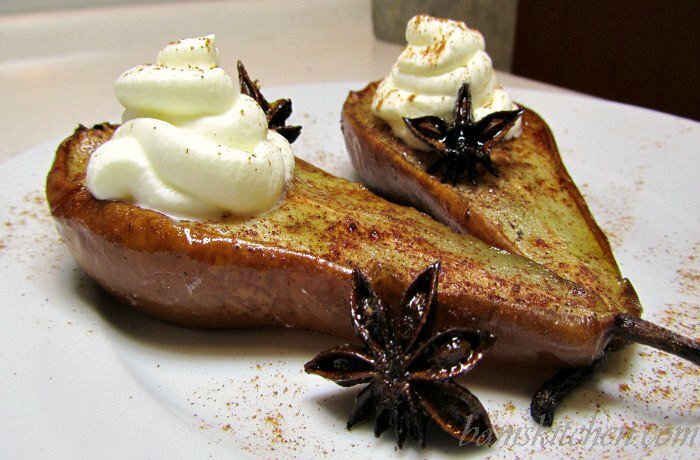 Asian spiced pears are warm, cozy, delicately sweetened with the aromatics of lovely star anise, cinnamon and vanilla. While these lovely Asian spiced pears bake in your oven your whole house smells like a gorgeous bouquet of sweet goodness. 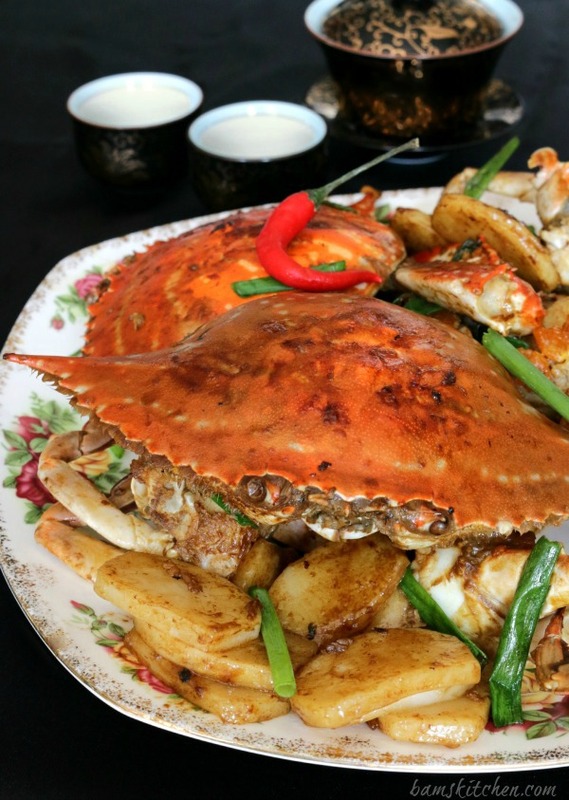 Sweet and succulent flower crab stir fried (Hua Xie Chao) with delicate herbs, spices and sticky glutinous rice Chinese New Year Cakes (Nian Gao) is something very special with your family and friends. You can make this dish gluten free if you just exchange the regular light and dark sauce with Tamari sauce. One of our favorite recipes of the 10 Fun and Easy Chinese New Year Recipes is Lucky Shanghai Hun Tun Soup. There is nothing more comforting than to be home for the holidays and to be able to enjoy some of mom's/ grandma's special wontons in a big delicious bowl of soup. My friends tell me that their teenage son can easily pack away at least 30 jaozi at one sitting so you better make a double batch. 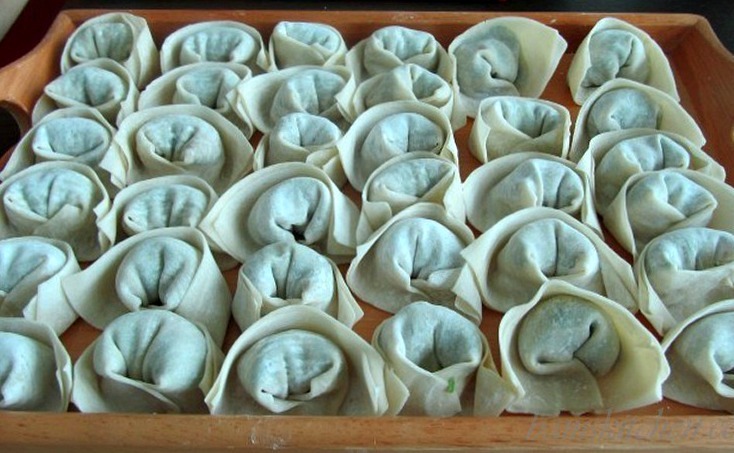 Jiaozi typically consist of a ground meat and/or vegetable filling wrapped into a thinly rolled piece of dough, which is then sealed by pressing the edges together or by crimping. 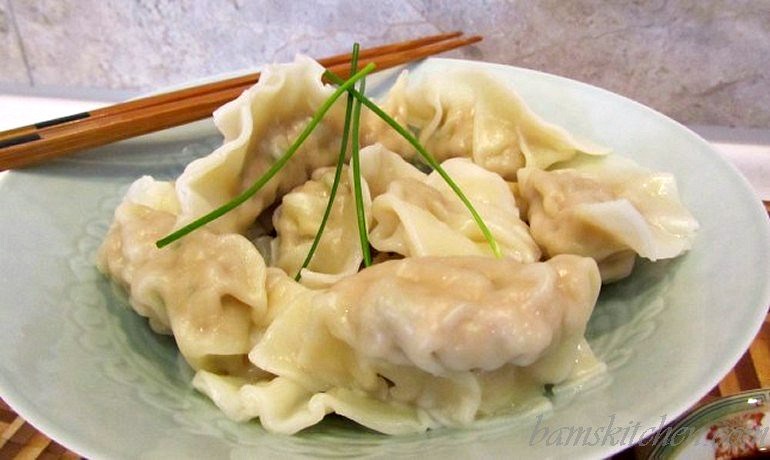 Boiled Dumplings are called shuǐjiǎo and are a healthier option instead of the fried version. When it comes to comfort food and wanting to eat something healthy and nourishing, there is nothing better than to sit around with your family and to enjoy a huge hot pot, especially when it is cold outside. 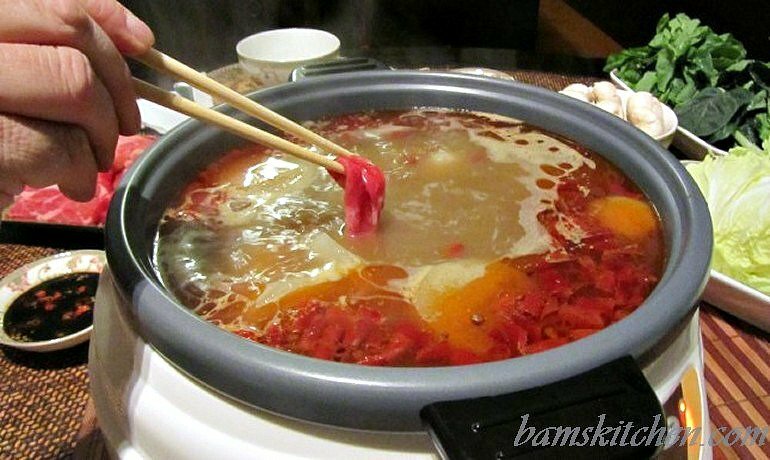 In China hot-pot is called Huǒ Guō 火锅 , which literally translates to Fire Pot. It is sometimes also referred to as Chinese Fondue or Steamboat. All of these types of hotpots have different ingredients, dipping sauces, vegetables, fish, dumplings and meats that are cooked. 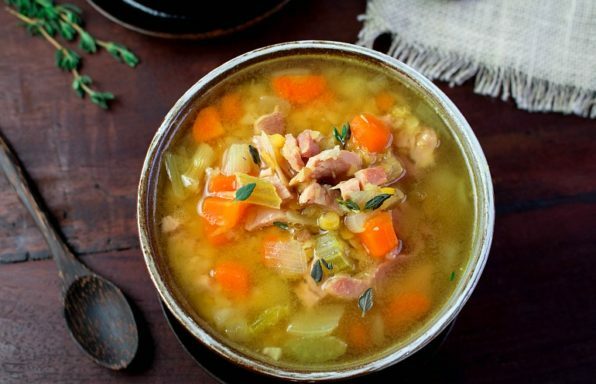 However, the one common theme of all hot pots is that is a beautiful way for families and friends to sit around a steaming pot of yummy pot of goodness; cooking, chatting and enjoying their time together. 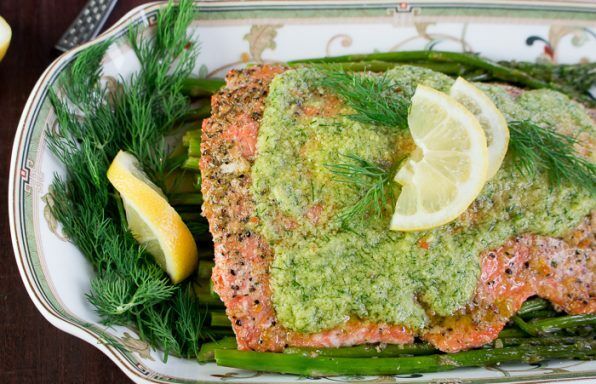 This is a great diabetic friendly meal. 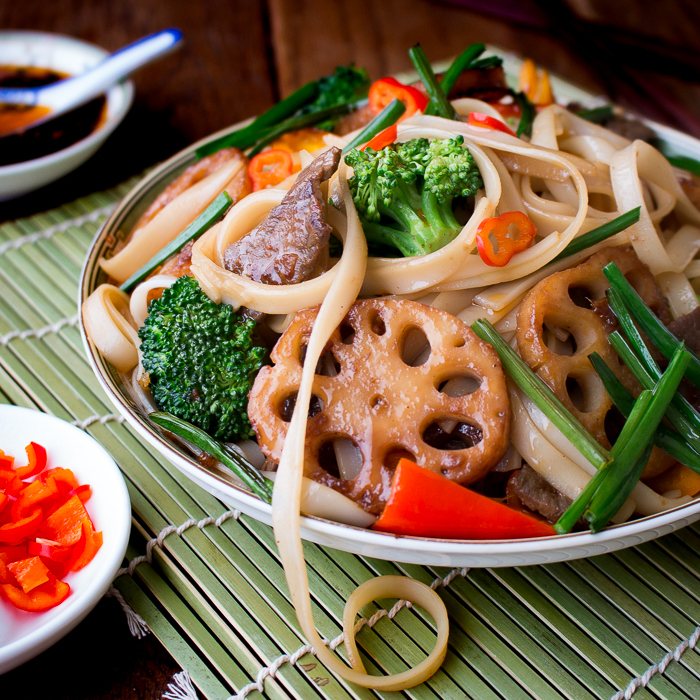 Longevity noodles, making sure they are not cut, are especially auspicious in nature and represent long life. They are especially popular during the Chinese New Year season, but you can enjoy them all year-long! 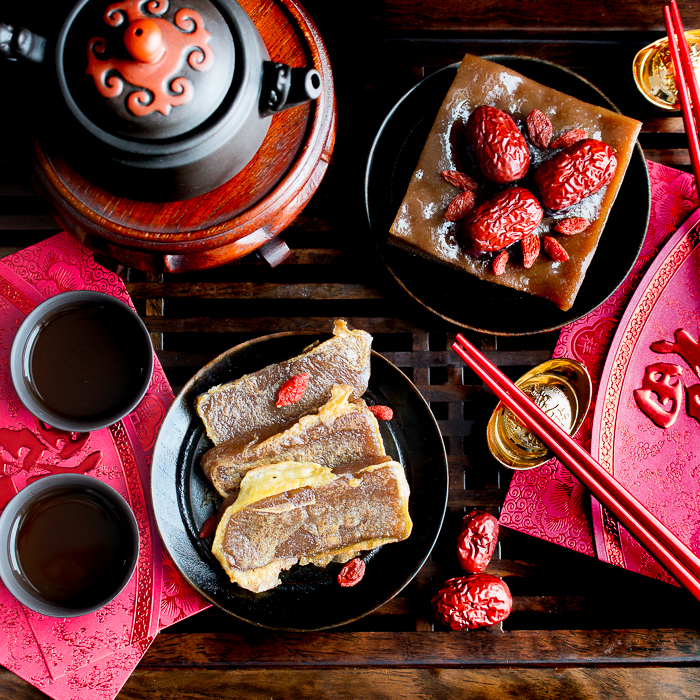 Another bonus Chinese New Year Recipe #11 is our Sweet Sticky Rice Chinese New Year Cake, also known as "nian gao", is a Chinese New Year (CNY) treat that is first steamed and then pan fried in egg. 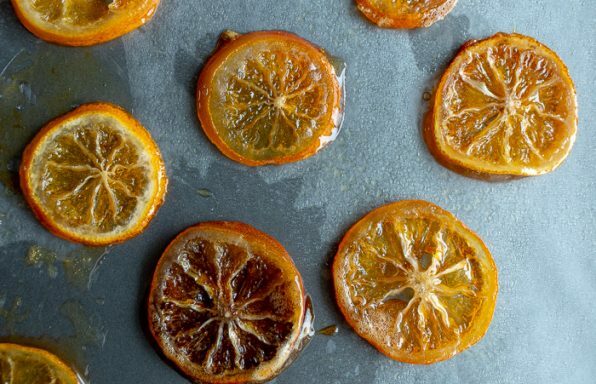 Delicately sweet, chewy on the inside and crispy on the outside- simply delicious! 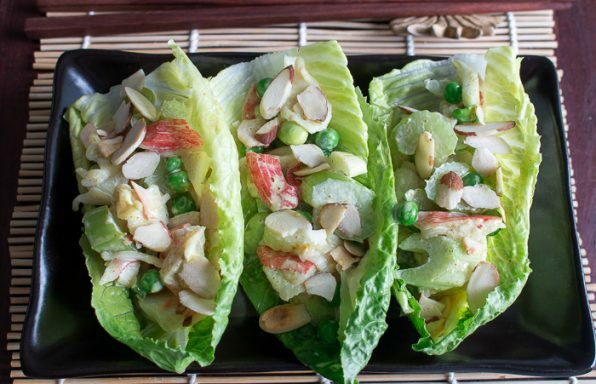 We hope you enjoy these 10 Fun and Easy Chinese New Year recipes! Wishing your family a very safe, healthy and prosperous Chinese New Year for our family to yours!